Virtually everyone loves opals, but they are different from every other precious gemstone. Their beauty doesn't come from their clarity or purity of color. It comes from the "play of color" that is created when light refracts and reflects off of their unique internal structure. More on that another time. Because they are different, different terminology is used to describe them. If you are new to opals you will need to learn some new vernacular. When you start shopping for an opal and trying to compare one to another, you will hear the terms doublet, triplet and solid used a lot. The difference here are important to the beauty, value and durability of the stones. Solid opal simply means that the stone is all opal. All other things being equal, that is the best and the most valuable. An opal doublet on the other hand is not all opal. A layer of opal is bonded to a layer of dark colored stone, usually ironstone. Then the stone is cut and polished. The benefits of the doublet are that a thinner piece of opal can be used that otherwise would be too thin. The backing stone gives it added depth and strength. 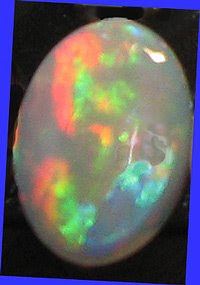 Also, the black background makes the colors of the opal stand out more and look brighter, like a much more expensive opal. So you can own an opal that looks better than your budget could otherwise handle. A triplet has three layers. It has the backing layer, then the opal layer and then a clear layer, usually quartz. Opal is a relatively soft stone. The quartz top is very hard and gives the stone added resistance to scratches and chips. The picture above is a solid opal. 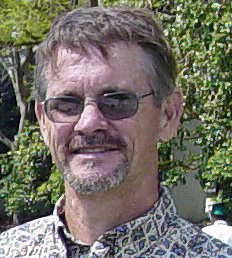 You can see some doublet opals, triplet opals and solid opal here, on my website at www.palmbeacgems.com.